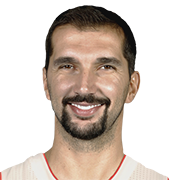 Predrag Kinis Stojaković (born June 9, 1977), also known by his nickname Peja, is a Serbian retired professional basketball player. He also holds Greek citizenship. 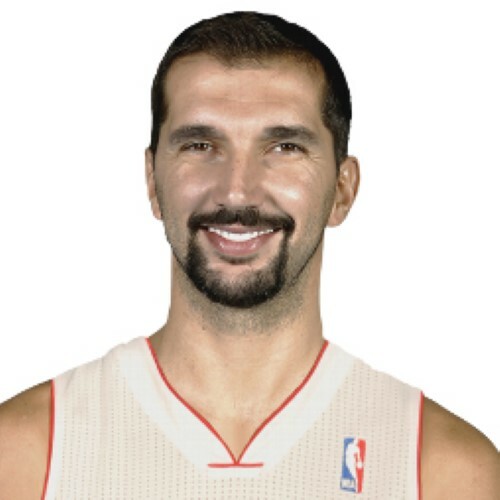 In Greece, he is known as Prentragk "Petza" Kinis Stogiakovits. He last played for the Dallas Mavericks of the National Basketball Association (NBA). Standing at 6 ft 10 (2.08 m), Stojaković played mostly at the small forward position. He won the NBA Three-point shootout two times, and was the first European-born player to win one of the All-Star Weekend competitions. Stojaković made 1,760 three-point field goals in his career which ranked 7th all-time at the point of his retirement. Stojaković led the Yugoslavian national team to gold medals in the 2001 FIBA EuroBasket and the 2002 FIBA World Championship. Often considered to be one of the most successful Serbian basketball players ever, Peđa was named the Euroscar European Basketball Player of the Year by the Italian sports newspaper Gazzetta dello Sport and the Mister Europa European Player of the Year twice by the Italian sports magazine Superbasket. On December 19, 2011, he announced his retirement from basketball. On December 16, 2014, the Sacramento Kings would retire his number.